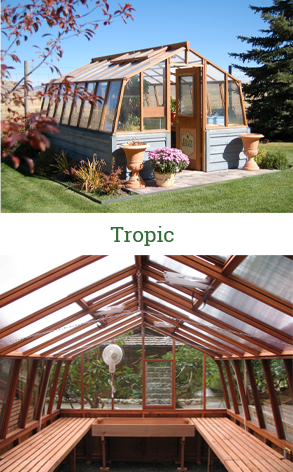 The Nantucket Greenhouse – an elegant and functional style to add to your home or garden. 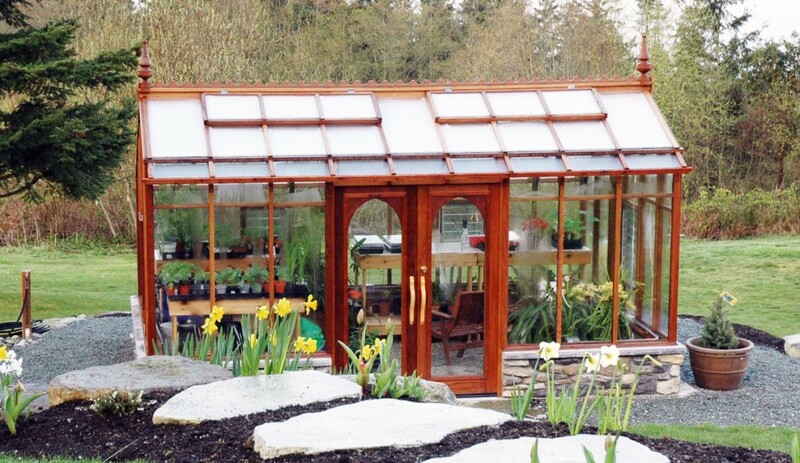 This beautiful garden greenhouse features an asymmetrical roof and exterior eave overhangs. 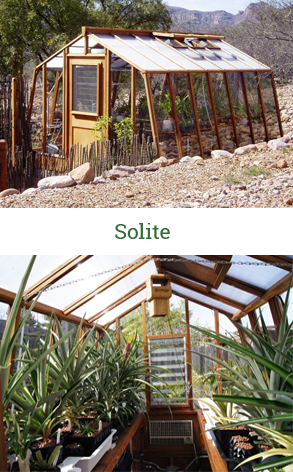 Glass starting only 18 inches above ground provides ample light and growing space. 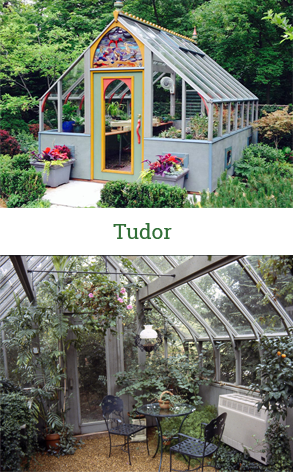 Perfect as a sitting area or garden room. 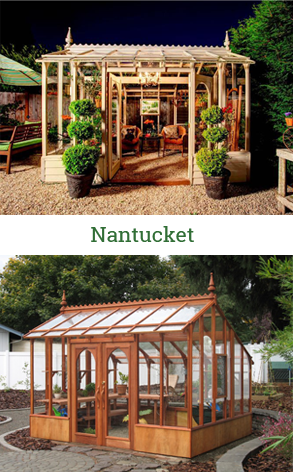 The Nantucket as a ‘She Shed’ – stylish additions including ridge scalloping, double doors, eave sills and finials make this style a handsome, stress relieving getaway space. Take a break from the demands of everyday life while staying close to home by turning any of our styles into a ‘She Shed’. 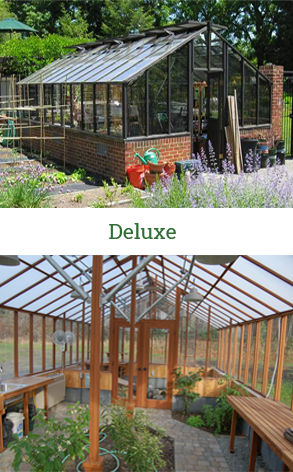 Additional architectural details included in the Nantucket, Tudor and Garden Deluxe make these models excellent options for the usage. 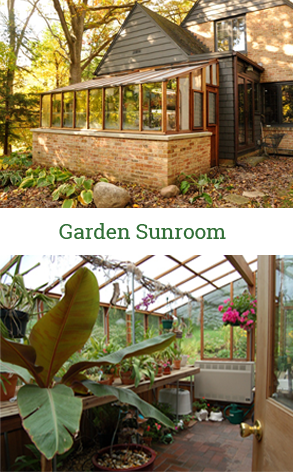 Make the space completely your own without any input from your partner! 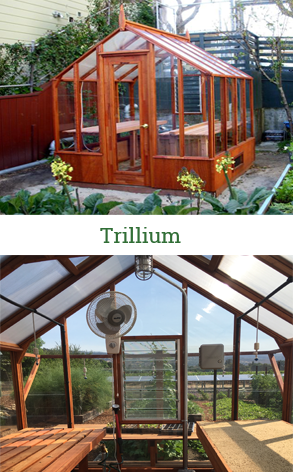 Below: Create a Hot Tub Solarium! 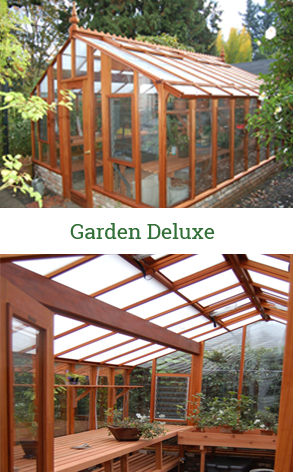 Click here to see what one of our customers did with his Nantucket.